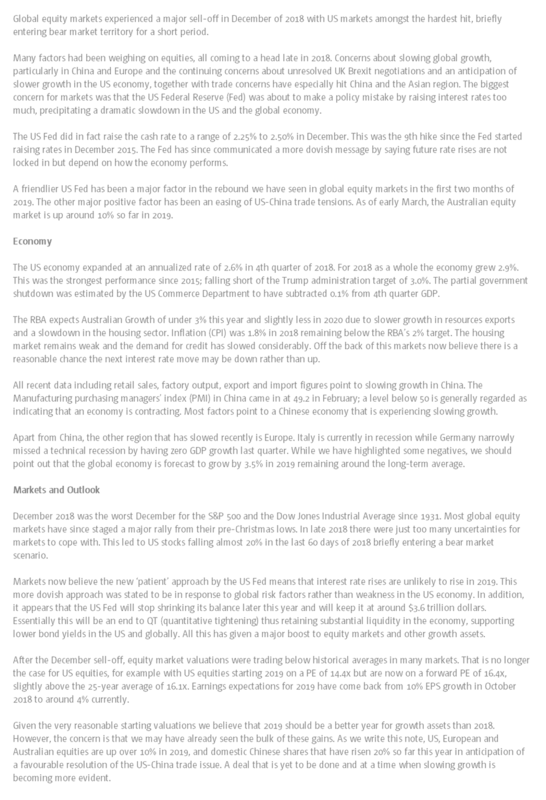 Investment Markets - a rebound from the Christmas "Bloodbath"
We have recently moved some of our global share exposure to cash reflecting a more conservative position on the short term growth outlook. At Yield, our effort is focused on helping you live the life you want now and to retire securely. To discuss your financial plan and how you invest effectively for your personal objectives, feel free to get in touch.